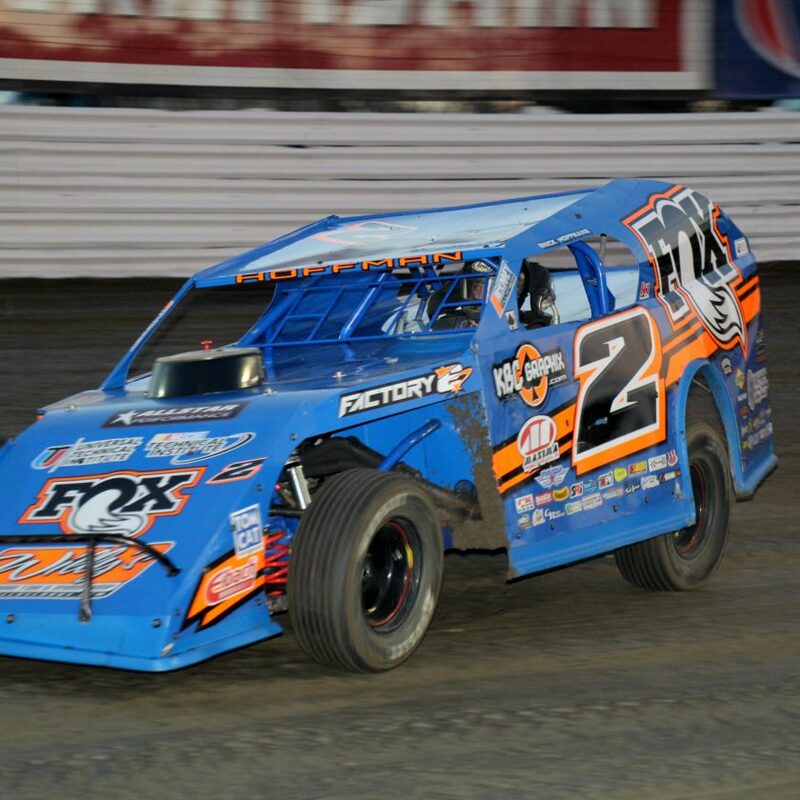 BROWNSTOWN, Ill. – July 1, 2016 – Brian Bielong held off Mike Harrison at Fayette County Speedway on Friday night to score the DIRTcar Summit Racing Equipment Modified Nationals win. Bielong started on the pole and fought much of the feature side-by-side with the reigning Summit Modified Nationals champion, Harrison. With Bielong running the high line and Harrison on the bottom, Harrison nearly edged him at the halfway point. As the two drivers worked their way through traffic late, Harrison again tried to edge Bielong, but he could not close the deal. 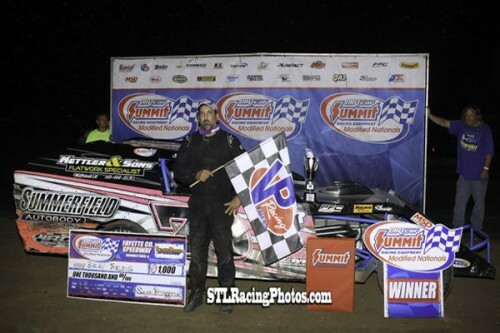 Bielong scored his first Summit Modfied Nationals victory of the season with Harrison in second, Levi Kissinger in third and Nick Hoffman, the current series points leader in fourth. 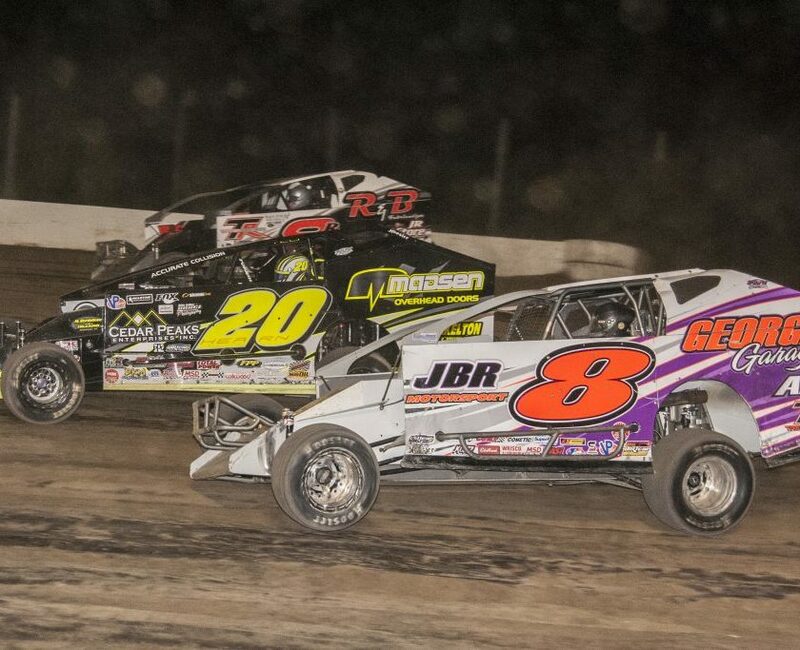 The DIRTcar Summit Racing Equipment Modified Nationals returns to action on Saturday at Federated Auto Parts Raceway at I-55. 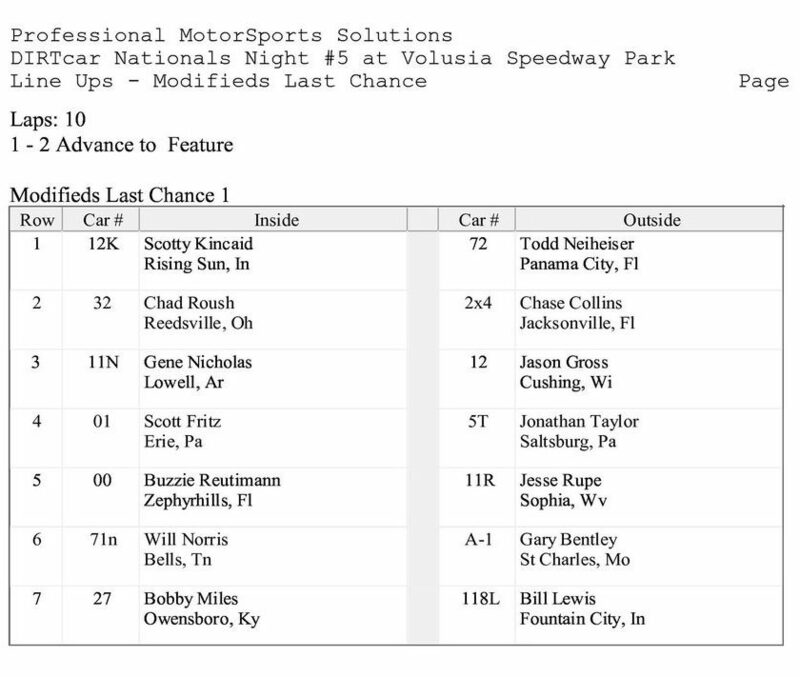 DIRTcar Summit Racing Equipment Modified Nationals Statistical Report; Fayette County Speedway; Brownstown, Ill.